Every time I think I've finally got a handle on a video game, I'm reminded of just how amazing (and better) some people are at it. 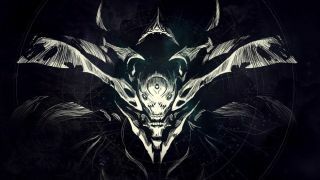 Case in point: I finally crossed the 300 Light threshold on Destiny this week, only to happen upon this video showing a player at Light level 335 taking on Oryx, the final boss of the King's Fall Raid, by himself. And winning. On Hard Mode. The player goes by Esoterickk, and he explains on Reddit that the only reason this feat was possible was due to the April update, which bumped up the game's Light level cap. Playing as a Sunsinger Warlock allowed Esoterickk to self-resurrect, and a 335 Sleeper Stimulant is enough to stagger Oryx. You can read the rest of his strategy and his answers to the subreddit's questions here. Of course, this is all easier said than done, and even though the video only captures roughly 15 minutes of a successful run, Esoterickk writes that it took him 20 - 25 hours to accomplish this herculean task. How long until one of the other 30 million registered players follow suit?